August 2017 – Clubs have new black belt 1st Dan! 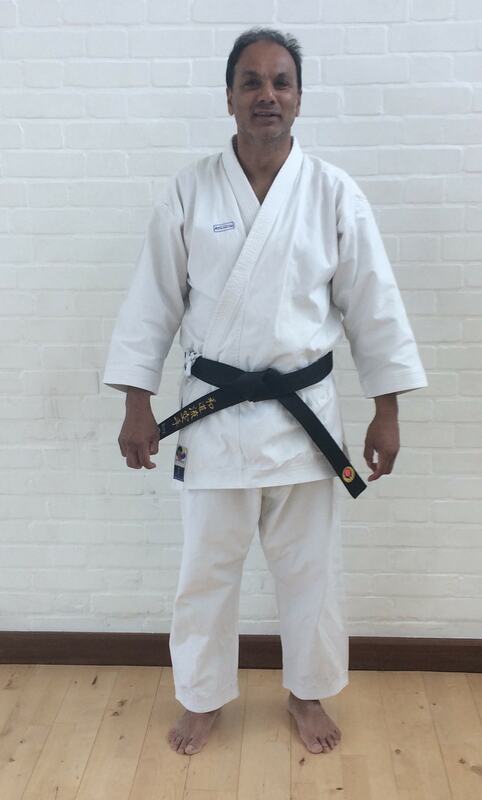 Amir Din recently passed his 1st Dan black belt at the Wado Academy Summer Course in 2017. 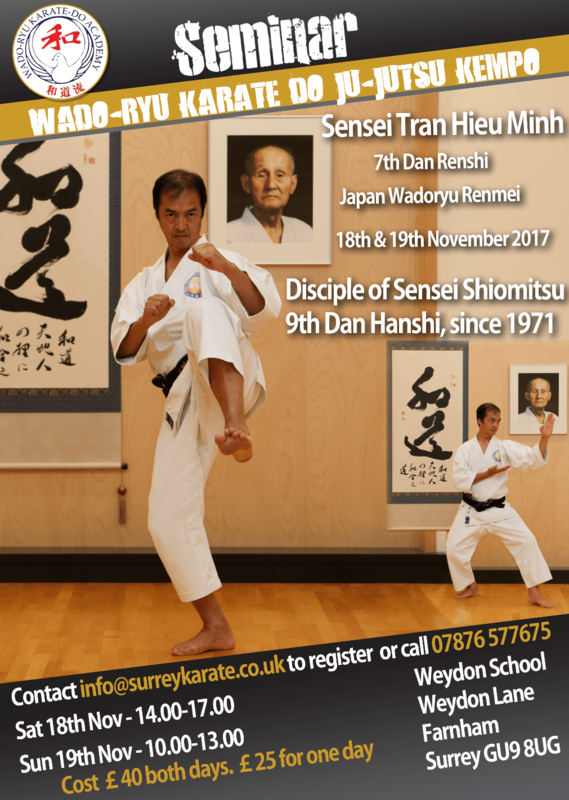 Amir passed at the second time of asking, in front of the distinguished panel of Wado Academy senior instructors, although unfortunately Shiomitsu Sensei 9th Dan, was unable to be there on the day. Amir has been training with us since 2005 and overcome some niggling injury issues recently, to get him successfully though the 5 day course and grading. Well done Amir! 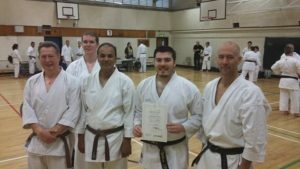 August 2017 – Black belt certificate presentation. George Hammond got presented with his certificate for 1st Dan, having passed his grading in 2015 at the recent Wado Academy Summer course. George is one of our longest serving students, having been training with us since the age of 6 years old! George is pictured holding his certificate, with some of his colleagues from the clubs.